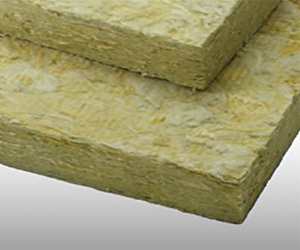 Mineral wool is a unique and highly versatile product. Not only is it a highly versatile form of insulation, but it is also a natural fire retardant which can make it desirable for many projects. Mineral wool insulation offers the R-value found in other insulation products and is fire resistant. Mineral wool is made of inorganic fibers derived from basalt, a volcanic rock. These materials are naturally fire resistant. Mineral wool is one of the safest forms of insulation. In Europe, extensive studies have been done into the safety of mineral wool. When you buy mineral wool, you can rest assured that it is a safe material. In the last 50 years, over 1000 studies have been done to verify its safety. Mineral wool can reduce the spread of a fire and provides valuable extra minutes to save people and property, and reduce environmental damage. It has been described as “virtually incombustible.” Using mineral wool insulation on your property can dramatically increase the fire safety of the building. Mineral wool is an environmentally friendly material because mineral wool production hardly creates very little waste. It is also often made from natural materials and can be recycled back into the manufacturing process. Mineral wool is significantly less dense than some of its counterparts. This means that less energy is used in the manufacturing process, making it a very good option if you or your business are concerned with reducing your carbon footprint. This type of material offers very good levels of thermal performance. It can be built to withstand temperatures of over 700 degrees. This makes it the ideal material for use in commercial insulation applications or any other environment that will be exposed to extreme heat. Mineral wool is also a good material for soundproofing. The structure of mineral wool is porous and elastic, meaning that it is perfectly structured to absorb sound. Mineral wool is also naturally very moisture resistant. It retains its insulating qualities even when wet, making it a great option to insulate a space that faces moisture issues. If you want an environmentally friendly option, it would be a good idea to go with mineral wool as your insulation. You should also consider mineral wool if you want to safeguard your property against fire, or if it will be in an environment that will be subjected to extreme levels of heat. Mineral wool is also a good option if you need soundproofing or if you anticipate that you will have any issues with moisture. Do keep in mind that installing mineral wool can be time-consuming in comparison to other forms of insulation, such as spray foam insulation. If you would like to know more about mineral wool, please get in touch with us. We will be happy to address any questions you may have.